Tardif Diesel is always on the lookout for talented people who share our passion for heavy-duty trucks. Are you a technician in heavy vehicles, a sales representative, or a customer service specialist? Do you have years of experience in administration or management of vehicle parts, or are you simply looking for a new challenge that can equal your personal aspirations? Do you want to work in a family business with a stellar reputation, in a wonderful team who focuses on quality and good work? Send us your CV at mcb@tardifdiesel.com; be sure to specify what job category interests you. Tardif Diesel is a Western Star and Freightliner dealership for new trucks, parts and service. 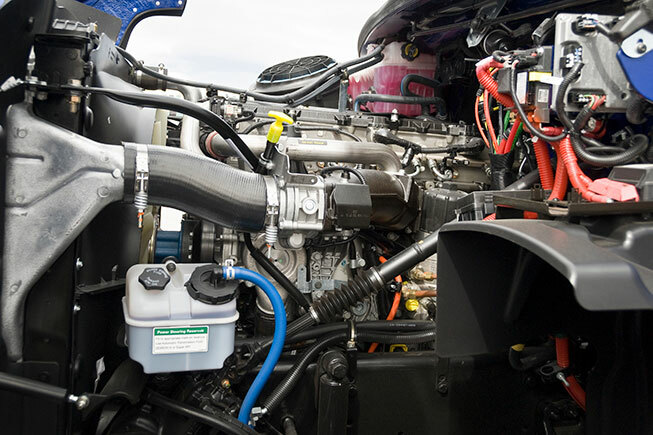 We are a certified service center for Western Star and Freightliner trucks as well as Detroit and Cummins engines. We also provide parts, maintenance and repair services for most medium and heavy-duty truck brands. Established in 1981, Tardif Diesel is a family-owned company, where everyone, employees and clients, is treated as a family member. Our mission: To be part of our client's success, by offering high-quality products and services, at the right price. Our vision: To treat each of our clients like a family member, with respect and honesty. © 2019 Tardif Diesel. All rights reserved.